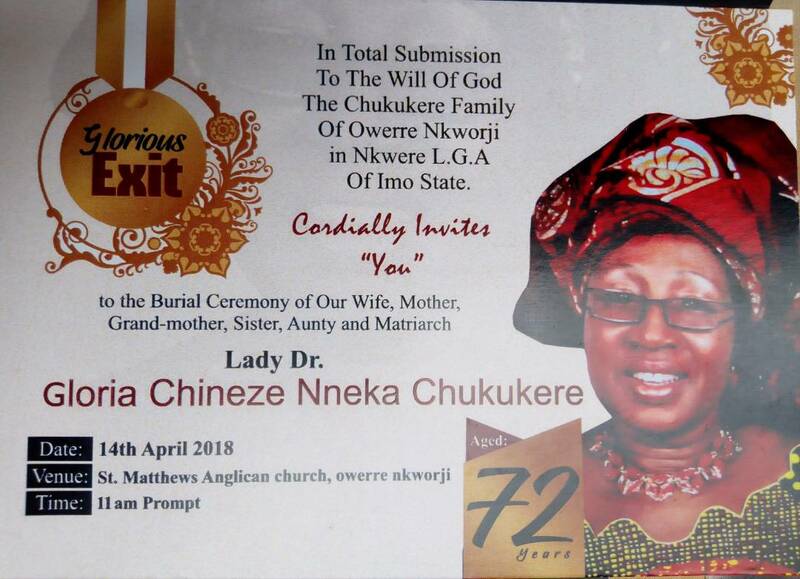 The wife of our GCU patron and iconic OLD BOY, Dr Chukukere will be buried on Saturday April 14 at Owerre Nkwoji near Nkwerre Imo State. The only gift he wants from old boys is that Aba, Umuahia, Owerri Branches and National Executive turn out massively in Red blazer. Tuesday April 10, 3.30pm at 23 Mbano Street, Aladinma. Owerri. 5 pm Friday April 13 at Chukukere villa. Owerri Nkwoji.